I will be honest with you… it's easier to organize toys than it is to keep them organized! That requires the help of your children unless you intend to clean up after them for the rest of your life! Not me! I look forward to the day that they are able to take care of themselves more, clean up after themselves, especially their toys. 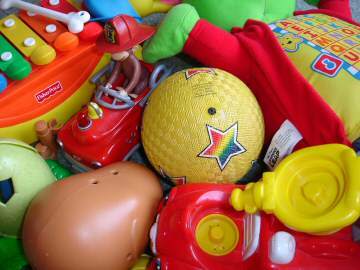 Here are some suggestions to help you organize kids toys, and keep them that way! I know it’s hard for me to let go of my kids toys sometimes, so I know it’s hard for them too. My issue is I can remember who bought most of them, for what occasion, or how much I paid for something. It makes it hard to give them away. I always feel bad thinking “if so-n-so knew that he didn’t play with this anymore, they would be sad”. But I think it’s just a fact of life… kids grow, and their needs and likes change, quickly. And to keep up, we need to purge the toys they’re too old for or that they no longer play with. Someone else will happily give them some love. And as for broken toys, they just gotta go! AND, what about all those tiny little McDonalds toys and party favors? For some reason, my kids seem to get very attached to those. It’s funny. We have a bin of those little toys and I try to purge them periodically as well, as long as they agree, or I don’t get caught! Those seem to be some of their favorites. After deciding what you’re keeping and whose toys are whose, you need to find appropriate storage devices to properly organize toys. I have a 3-tiered bin organizer for each of my children’s rooms for them to keep some of their personal toys. We have another one of those bins in the toy corner of the family room to store some of the rest of their toys. I like these bins because they help to group similar types of toys together, or a set of something into each bin. 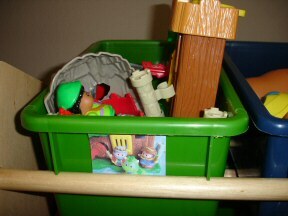 They also allow them to pull out the whole bin to get the toys, or carry the bin to wherever they need when they’re done to put all the toys away. We have a small inexpensive book shelf that holds large toys such as trucks, musical instruments, a little people unit, etc. The other thing we’ve come to like is a plastic drawer caddy on wheels that holds the play-doh and activity books and some puzzles. It’s nice for keeping them sorted, stored and accessible. The storage options on the market today to organize toys are endless! 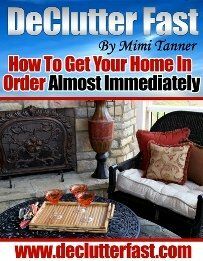 Think about what will work best for your family and what kind of space and toys you have. To organize toys you need to give every single toy a place to live. That makes it much easier for it to get put away. I have the same issue with my own belongings… things that don’t yet have a home get pushed around. Things that do, get put where they belong. So, give every toy a home! Organize toys with labels by labeling the bins or shelves in a way your child can understand so that they know where the toys go. I have non-readers at this point, so I took some digital pictures of their toys and printed out a tiny picture and stuck it to the front of the shelf area and the bins. This way, they know what goes where and there should be no reason for something to be pushed around “homeless”. No wondering where to stash the toys when it’s time to put them away and end up with a huge pile of stuff in the corner. We have done this every Christmas and Birthday so far, but no one ever listens to our pleas for no more toys. I understand… it’s not as fun to watch a child open a gift of money to put into their college savings. And for Christmas one year when my son was not quite 3 he opened a gift box of clothing and his comment was “I got laundry!”. So yes, I get that toys are more fun, and that us adults have a hard time not wanting to see their faces light up when they get something cool. But I doubt they keep tabs of how much was spent and who gave it to them, etc. Also, sometimes we think something is really neat and they play with it for one day and that’s it. It becomes a dust collector in the play room. So don’t feel bad for encouraging non-toy gifts. Use these tips to organize toys and you should be on your way. Keep in mind that you don’t want to do it all for them. Let them be part of the process. And be a good example to them by putting your own things away. I think with some time, patience, persistence, and leading by example, we can all get our toys organized eventually.